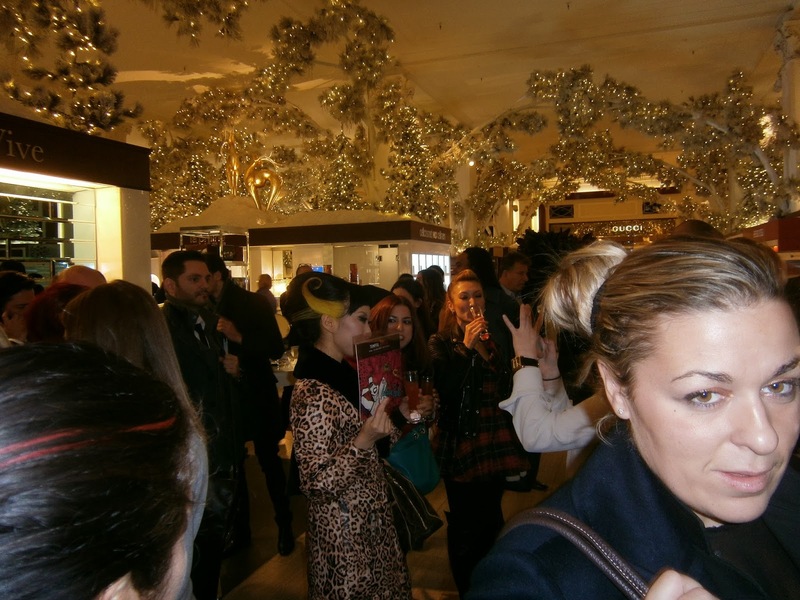 On November 21, Temptu were holding a makeup event at the Saks Fifth Ave store and was personally invited. The duration of the event was from 5-7pm. The event had a special guest costume designer Patricia Field and I had the pleasure of being introduced to her by my makeup artist friend Lora Brooks who knows her personally. Despite of her age, Patricia is a free-spirited, down to earth kind of gal and still lives and breathes fashion. The event had free drinks, food and were giving free makeovers for anyone who were interested. Tmeptu makeup artists were using a live model to airbrush designs all over her body and it was very creative and beautiful. Temptu uses airbrushing instead of traditonal use of brush or sponge applications. I received a makeover by a male makeup artist and this was my first time having airbrush makeup applied to my face and my very, very first time putting blush on my cheeks. Lol. My face looked amazing and I received compliments from a few people. I look forward to more future events similar to this one. To see more pictures of the event, go to “fashion events” in the drop down on the menu. Enjoy!